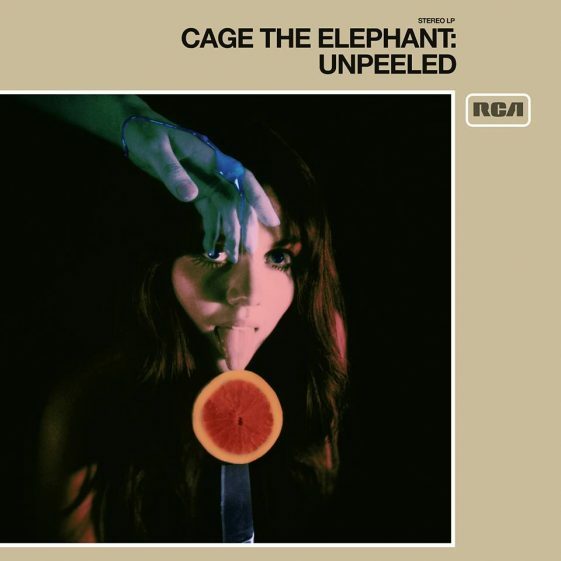 (New York – July 28, 2017) GRAMMY® Award winner Cage The Elephant’s new album, UNPEELED, is out today on RCA Records, and you can listen to it here. This week, to commemorate the release of this new album, Cage The Elephant rolls out 21 live performance videos worldwide, one for each song on UNPEELED. Highlights include premieres of “Rubber Ball” on Rolling Stone, “Cry Baby” on Entertainment Weekly, “Trouble” on Flaunt, “Punchin’ Bag” on Consequence Of Sound, and their covers of Daft Punk and Julian Casablancas’ “Instant Crush” on NME, Wreckless Eric’s “Whole Wide World” on Consequence of Sound, and The Strangler’s “Golden Brown,” on Billboard. You can find all premieres here and watch all of the “Unpeeled” videos here. Cage The Elephant has a number of confirmed festival dates in the US and will perform at Forecastle Festival, Lollapalooza, Osheaga Music & Arts, Mempho Fest and Cal Jam with The Foo Fighters and Queens of the Stone Age. Tickets for these dates are on-sale now and available here. Recently, Cage The Elephant also appeared on Late Night With Seth Meyers to perform the UNPEELED versions of “Whole Wide World” and “Too Late to Say Goodbye”.